The Control of Paces (MA) is a simple test of how slowly your horse can canter and how quickly it can walk, without breaking into trot from either pace. It is measured through a corridor of up to 150m in length, and between 2 and 2.20m in width. 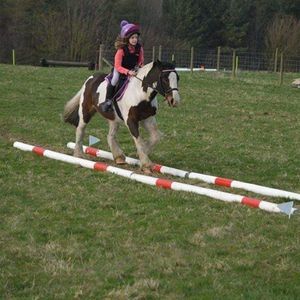 Obstacle Course (PTV) or handy pony course with 16 obstacles placed over a field. There is a maximum time to do the course in and it is timed from start to finish. Going over the time will incur time penalties. Obstacles include; banks, ditches, low branches, small jump, steps, S-bend, gates, water, bridges, dips etc. Each obstacle is worth up to 10 points. Kathryn and her horse Milly have competed in Switzerland and Austria representing Great Britain and we have had the honour of been British Champions. She has also ridden in Portugal winning a European Young Riders Competition. So what to expect from the training session - a fun relaxed environment where we will look at the PTV section of TREC (the obstacles). We will work on different techniques all that will help in day to day riding and life, obedience manners control. 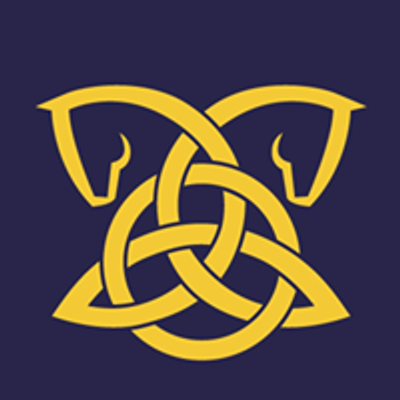 This is open to everyone on any type of horse or pony no one is exclude - from the nervous to the confident I am happy to teach all abilities. 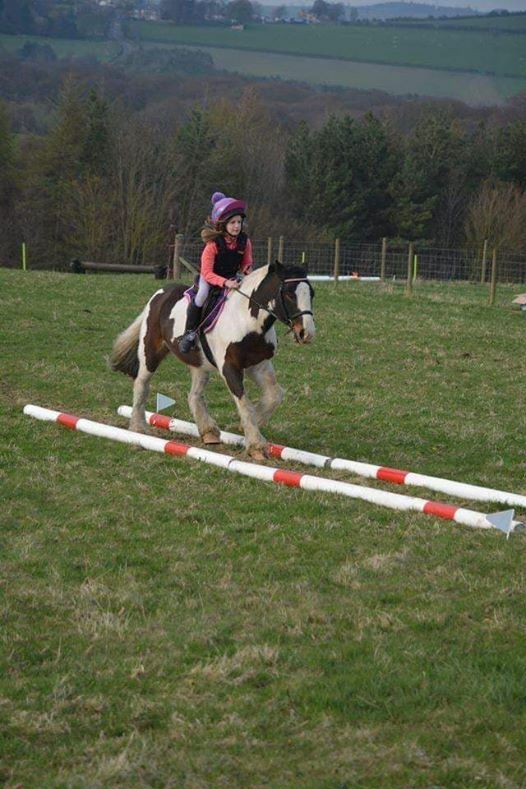 I also take great pleasure in teaching lead rein/first ridden. Sessions are in groups of four for 1hr 30mins and cost £40.